CINCH Release Manual. Add an extra measure of safety to your ride! Microfusion, non stretch, tow line. Get personalized line lengths. 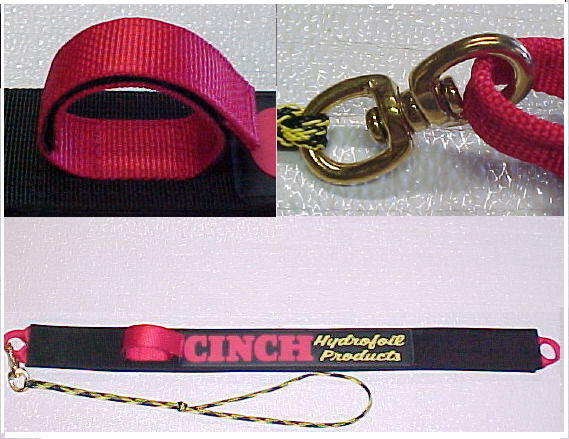 CINCH Release with Brass Swivel and Microfusion Rope tie for your Tower. A RopeStay for your tow rope is included. 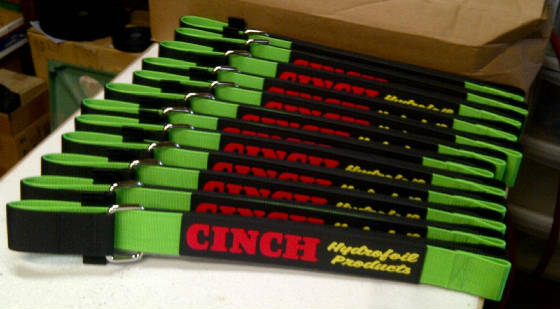 CINCH 'Release' adds a measure of safety to your ride. Releases on line tension. Adjustable. Evo 'Bones' Skeleton Tower, Lighter than the Rock Tower, Shock Tower and original Evo. $999.95 with SS Belt. New 2 Piece Sky Ski Foil Cover. Fits all Sky Skis. A must for travel. CINCH Zip Extender. Allows larger riders to use your foil, with no tools required. Can be used with Footman Loops or Swivels. 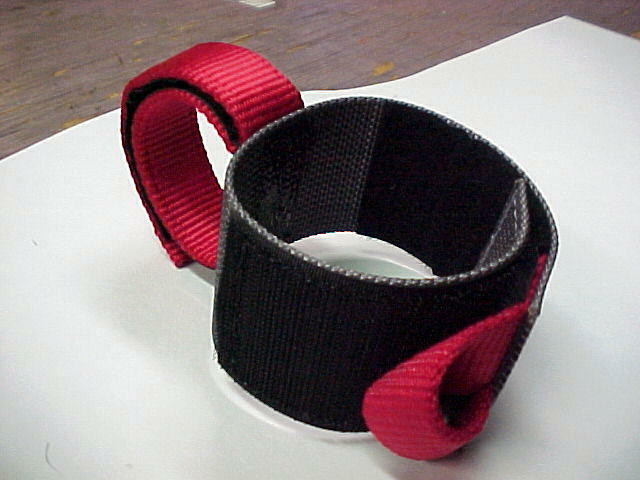 CINCH RopeStay..Keeps your Tow Rope neat and off the floor of the boat. 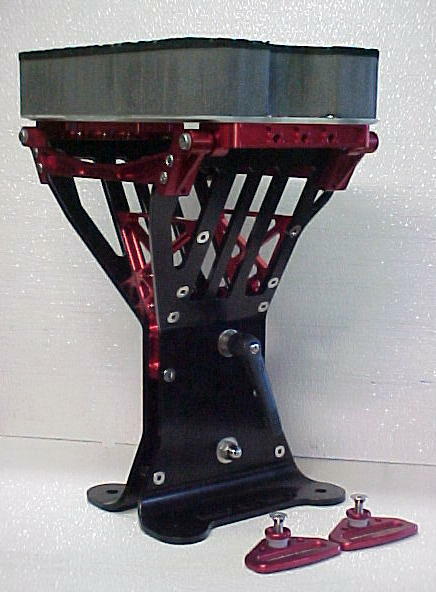 Available to fit both horizontal and vertacal sections of Tower. Colors available. CINCH 'Extender Plus' Allows standard CINCH 'Max' to fit larger riders. Easy installation. Use on towers with Footman Loops only. For Swivels, use the CINCH Zip Extender. 2016 CINCH Max® comes in Red, Blk, Silver, Hot Green, Hot Yellow, Blue, Burgandy. The 2016 CINCH Max® has 40 sq in of hook and loop that is placed to be more size friendly. 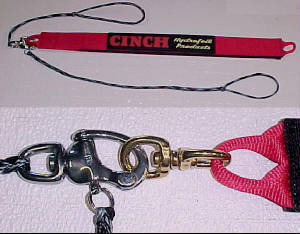 The CINCH Max 2:1, double locking lap belt was developed by CINCH in 1990.